San Diego Comic-Con International is taking place right now in California, and over the next day or so you will likely see a slew of headlines coming out of the studio-hosted panels that have long served as the main Saturday attraction. Our coverage has been pretty light thus far, but starting with this post we intend to change that. Strap in. There have been many films that featured King Kong and the island he calls home, but staying and exploring this mysterious and dangerous place offers Legendary the opportunity to take audiences deeper inside this rich world with a style and scope that parallels other Legendary productions. Peter Jackson gave audiences a beautiful look at Skull Island when he brought King Kong back to life in the mid-2000s. That film, which starred Jack Black, featured Kong battling dinosaurs. It’s unclear if this film will stick to the mythology on display in that title, but I certainly wouldn’t complain if that turned out to be the case. You can view footage from that film below. 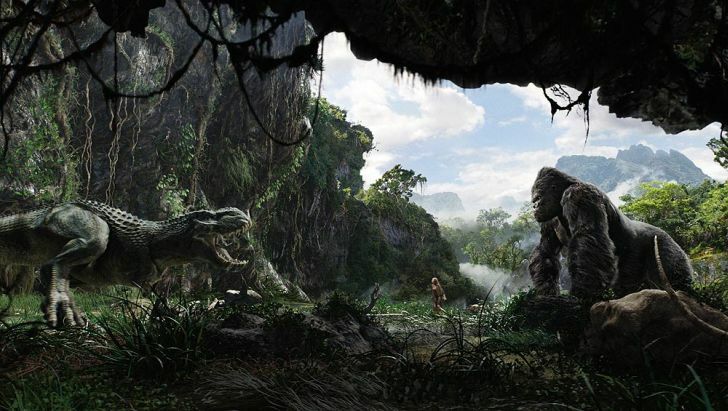 Skull Island has been given a November 4, 2016 release date. Expect additional production information, including a full plot synopsis and cast list, to surface sometime in the weeks ahead.